Is a career in Trades and Transport Operators a good fit for me? A career in Trades, Transport and Operators will appeal to those who enjoy doing practical, hands on work in construction, manufacturing, mechanical trades, and heavy equipment. Many of those working in occupations in Trades and Transport enjoy a dynamic work environment and often work irregular hours where they are not tied to a desk. They usually have a strong aptitude in reading, writing, math and science. Many enjoy the flexibility of being self-employed or working for small, medium or large companies. Many sectors in this category will involve repetitive and physically exhausting work. Working in this category can challenge you with various job hazards including but not limited to weather conditions, loud noise, electricity, dangerous machinery, heights and confined spaces. The pathway to a career in Trades, Transport and Operators usually involves a high school diploma or GED equivalent which is often but not always followed by a technical diploma or certificate. 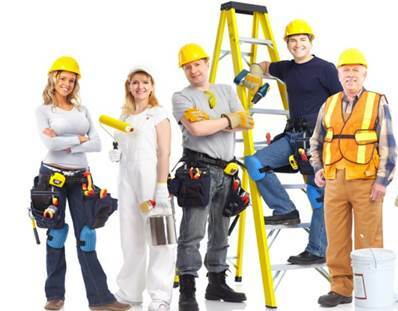 71 trades are apprenticeable which means you can earn a wage while learning an occupation. Some examples of apprenticeable occupations are: Bricklayer, Carpenter, Electrician, Mechanic, Machinist, Plumber, Power Engineer, Powerline Technician and Welder. Most apprenticeships take 2-4 years to complete and will lead to a certification as a skilled journeyman. For more information on Apprenticeship, see Apprenticeship and Occupational Certification in the Resources section above. To secure a position in Trades, Transport & Equipment Operation you will need to highlight the skills that employers are looking for from their employees. The previous section on skills will help you recognize the most sought after skills. If there are areas you feel you need to work on, it would be a good idea to practice. How would you organize an engine repair job with 3 employees? What are the procedures and regulations for transporting goods to the USA from Canada? If you had a truck loaded with products to go to 15 places in a single run, how would you organize the loading? Give me an example of a high-pressure situation. Tell me about a time when you implemented a great idea in a working team and explain the steps you took. What safety procedures do you follow before, during, and after your shift? Give me an example of the latest “near miss” you were involved in. This skill type category includes construction and mechanical trades, trades supervisors and contractors, operators of transportation and heavy equipment. These occupations are found in a wide range of industrial sectors, with many occurring in the construction and transportation industries. When conducting labour market research in areas where occupations are defined by a 4 digit NOC (National Occupational Classification) code, the first digit of the code for all Trades, Transport & Equipment Operator occupations is 7. Enjoy hands on work, using tools, and want to get paid for it?